With a population of more than 1.6 million people, Phoenix is one of America’s largest and fastest growing cities. Phoenix Arizona is home to some of the world’s finest art galleries and museums, incredible food and teams from four major league sports. If you’re considering moving to a new house in Phoenix, one of Phoenix’s Suburbs or are about to relocate a business to Phoenix, you aren’t alone — more people move here every day. 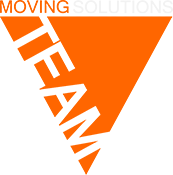 moveON moving is one of the top Phoenix Movers specializing in long distance moves to and from the Phoenix area. It is a testament to our skill and dedication in the Moving and Storage Industry. Most of our new customers are referred to us from previous happy customers. You can trust the professional Phoenix movers at moveON moving with your most treasured belongings. As a licensed Phoenix moving company, we only hire the best moving men to move our customers household goods. 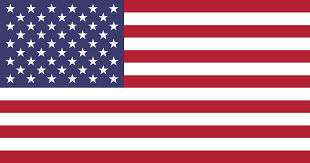 We are also fully licensed with the US Department of Transportation and insured for your best moving experience. At moveON moving, we are proud to be one of the only Phoenix moving companies to extend special discounts to Phoenix senior citizens and active duty military. If it’s time to move from a home you’ve owned for many years to a smaller more manageable living environment.— or if you’re on duty and Uncle Sam has called you to another area of the country. Your local movers phoenix are on call ready to help. For our professional phoenix movers, navigating these challenges isn’t a major obstacle, it’s just part of the job. We have the tools and the manpower to simplify the most complex moving scenarios. You can trust your local Phoenix area movers at moveON moving to determine the best way to pack your item and deliver it safely to its new location. Do you want to move your items to a new household or business location in advance of your move so it’s ready for you when you arrive? Is your business planning a long distance move to or from Phoenix? We can move display furniture from Phoenix to any location nationwide.